I refuse to be shamed by this: I love American Idol. Thirteen seasons in and I still dedicate DVR space to it every week. I don’t even care, you guys. My musician friends are all it harms the integrity of creative license and fabricates a fan base that makes true artisanship something something and other words come out of their mouths and I’m like ALEX PRESTON. Fabricating a fan base MY EYE. Week after week, okay fine, year after year I sit on my couch and grin at the TV. Then I pull up my favorite performances of the night and grin at my laptop. Then they win or lose and I cry and they hug their parents and I sob and they are amazing and I get choked up every week. I am proud of them. Like a Mama. I have a similar reaction when listening to an incredible Bible teacher or reading a brilliant book (Jenny points out that I never say this is a great book… I always say this is so well-written!) or watching someone pull off a spectacular dinner party or build something beautiful. I am constantly proud of people. I am inspired by people doing what they do best. I mean, I really am. As I read or pay attention or listen, I constantly catalog other people’s gifts, and I think: This is so their lane. I cannot explain this surge of pride I feel when someone bravely offers their gifts up or shares their talents with us or just sings her song well. And I don’t just mean folks with very public gifts. I choked back full sobs at Remy’s Elementary Talent Show Friday; not because there were six separate performances of “Let it Go” (Jesus, give us strength), but because a group of teachers dressed up like cows and foxes and chickens and choreographed a surprise routine to “What Does the Fox Say?” and I sat there thinking They are so good at being teachers! Look at these teachers being so awesome! These are the luckiest kids on earth! You can barely tell from this angle, but the teacher in the black shirt is fully pregnant. She deserves a Congressional Medal of Honor. Gosh, we were just born to stuff, weren’t we? God truly built gifts into our lives. Everyone is just innately good at something. Some of us get to make a living with our gifts and others just bless the world with theirs. I am thinking of several women right this second who are really, really good at friendship. They are such good friends to me that it isn’t even fair. And others who I constantly admire for being such good moms. Like, they are really good at mothering. Two of my friends threw creative, fun, adorable parties for their daughters this weekend and I was in awe because I am not a Fun Party Mom; this is a gear I just do not have, but when I see it in someone else I’m all well done and thank you for inviting Remy so she can have some childhood memories of fun parties and maybe time will dull her recollection and she’ll think I threw some. I don’t like when people minimize their gifts. Oh, I’m just or it’s only or it’s nothing… This aggravates me. There is a difference between humility and insecurity, and wrapping ourselves in self-effacement does no one any favors. We teach our watching children to doubt and excuse and diminish. Do we want our kids to reflect on the mothers who raised them and have absolutely no idea what we loved? What we were good at? What got our pulses racing and minds spinning? Don’t we want them to see us doing what we do best? My mom went back to college when she had four kids spread out over high school, middle school, and elementary school, and that has always been a source of pride for me. She was a teacher in her heart and needed the degree to match, so she chased the dream long before it was convenient or well-timed or easy. Yes, she fell off the oat bran wagon (kindly recall 1991) and we had to buy store-bought prom dresses, but we got to watch her fly. 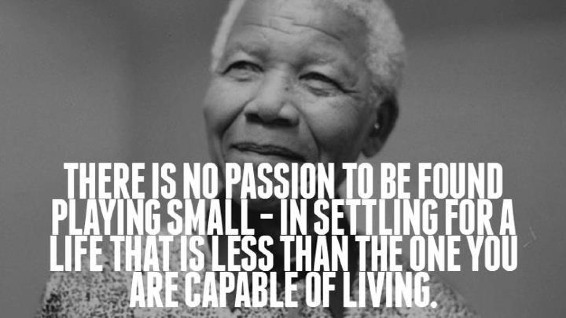 It never occurred to any of us to settle for less. What are you good at? Not sure? What do people constantly say you are good at? Others can usually identify our gifts long before we are willing to concede. Maybe it is career material. I’ve long said that someone will pay you to do what you love. You might be stuck in a job you hate doing work you don’t care about while your gifts are languishing on the sidelines, awaiting your courage to put them in the game. Do you know that I always, my entire life, loved to write but never dared imagine that could be a thing? I taught elementary school, which as I’ve made clear, is one of the noblest professions, but I wasn’t great at it and I felt trapped. I later stayed home with all the babies which I birthed every other summer, and when the youngest was about to turn 2, I told Brandon: According to our schedule, I’m due for another infant this summer, but I'm super over babies so I’m going to birth a different kind. And I wrote my first book. Obviously writing a book no one asked for with three kids five and under is an Insane Person Choice, but sometimes you throw out logic and decide to run your race. Do you know what else? I thought humor was one of my throw-away qualities forever. Surely that had no place in any Jesus Work. Frankly, it was something of a liability I thought, like I should overcome it and get serious, for the love. What kind of a Bible teacher loves Will Ferrell? I guessed I should just do my best with the Real Stuff and try to tamp down the humor, because I am a grown woman who Works For Jesus. But guess what? God made us all as an entire package. It all counts. There are no throwaway qualitites. In fact, those might help point you in just the right direction. Nothing is wasted: not a characteristic, a preference, an experience, a tragedy, a quirk. NOTHING. It is all you and it is all purposed and it can all be used for great and glorious good. Maybe you need to invest in your gifts. Take a class. Go to a conference. Sign up for a seminar. Start that small business. Put that website up. Build in some space. Say yes to that thing. Work with a mentor. Stop minimizing what you are good at and throw yourself into it instead with no apologies. Do you know who is going to do this for you? NO ONE. You are it. Don’t bury that talent, because at the end of the day, the only thing your fear netted you was one buried talent in a shallow grave. How many of us are trotting out that tired cliché – “I’m waiting for God to open a door” – and He is all I love you, but get going, Precious Snowflake, because most of the time chasing the dream I put in your heart looks surprisingly like hard work. Don’t just stand there, bust a move. (God often sounds like Young MC.) You are good at something for a reason. God designed you this way; this is on purpose. It isn’t fake or a fluke or small. This is the mind and heart and hands and voice you’ve been given: USE IT. Let the rest of us grin at you while you run your race. Let us be proud. Let us be inspired and grateful that God made you to do this thing and you are doing it LIKE A BOSS. The timing is never right. Forget that. It won't just fall into your lap. That’s fake. You are probably not guaranteed success. Sorry. This might be a crapshoot. It will be hard and require sacrifices not just from you but maybe from your people and you might step out on shaky, shaky legs. But off you go because we were not created to stand still, even though that is safe and familiar and you are practically guaranteed never to fall or stumble or grow weary. We were made to run. I’m grinning at you. We all are. Oh, this, this is so lovely. It comes on the heels of a pinterest-like blip that reached through the screen and stroked my face, "Today is the only day that it can be done, not tomorrow or yesterday, today." Thank you for the spirit launch. My heart hurts because this was so in line with the things on my mind and what is aching in my soul. Thank you. Best start to the week EVER! I'm going to print this out and tape it on my bedroom door Remy-style. Note to self: Add to bucket list: Be at least nominated for a " Insane Person Choice" award. :-P Loved this post! Working on busting a move.... trusting big....building my blog.... connecting passionate people with others...and hopefully will begin plans for an e-book before the year is over. Wowzers.. good to say it out loud.. dreaming big! This so speaks to me! I'm 51. Have four men/men-in-the-making ages 26, 18. 18 and 17 and a grown bonus son and grandbabies. I've been a working mom most of my life. About five years ago I started feeling a tug toward something else. So, I applied to return to college and get a degree in Christian Ministries (it'll take like 8 years while I work full time to put the last three thru private Christian university in Cali). So, my second stage of my life story will include vocational ministry ... thinking hospice or hospital chaplain but who knows where God will take this? I am Pining, bookmarking AND printing this post, putting it on my wall so you can be my cheerleader every time it gets crazzzzy. Love your perspective, love your POV...keep being you Jen!!! All the best to you in your studies and all that your life holds! I wish you well. I'm saying a cheer for you over here in Illinois! Can I add my thank you? Not just for this one, but for ALL of the posts. You lift up many, Jen Hatmaker. Grinning right back atcha!! Oh Mama! I needed to hear this today. I love to sew. Really, truly, looooooove to sew. And people would rather buy a dress for $7 on clearance at Walmart and I have to be okay with that because I love to sew. Thank you for reminding me it's okay to love it even if I can't earn a paycheck doing it. Well, actually I sometimes do earn a paycheck sewing but it's usually a teeny tiny paycheck, but still. Thank you. I love this. I am now on day 45 (since If:Local) of doing something I love, that I felt God call me to do. It's scary, and I don't know if it's any good, but I love doing it. There isn't much of a career in poetry, but that's where God speaks to me, it's a thin place and right now, it's part of my race. Thank you for encouraging people outside of the visible spheres. This really spoke to me. Thank you. Don't know who or how or when or where, but I'm going to bust a move. God, just don't let me fall on my face. Let me SOAR. All i can hear is Bianca yelling, "Run YO race! Run YO race!" 1 lone tear rolling down my cheek. thank you. Also thinking of so many beautiful women in my life who are busting their own moves. LOVE! yes yes yes - also we're back on the AI bandwagon this year. My daughter can sing. I cannot. I wish I could, but that doesn't mean I shouldn't use the gifts I DO have. My blog is the beginnings of that process! I'm trying...I'm being faithful...but it appears I'm failing. I'm counting on God liking that I'm at least trying, even if my plans don't succeed. Like when Andrew at least had the guts to mention the seemingly insignificant loaves and fishes. Thank you thank you! Just had a discussion with my best friends Sunday morning and we went round and round about "should we or shouldn't we." You spoke right to us. How many of us are trotting out that tired clich� %u2013 %u201CI%u2019m waiting for God to open a door%u201D %u2013 and He is all I love you, but get going, Precious Snowflake, because most of the time chasing the dream I put in your heart looks surprisingly like hard work. Don%u2019t just stand there, bust a move. (God often sounds like Young MC.) You are good at something for a reason. God designed you this way; this is on purpose. It isn%u2019t fake or a fluke or small. This is the mind and heart and hands and voice you%u2019ve been given: USE IT." We will try. We may fail. Regardless, we learn and grow and keep moving forward. This. I do not think there are adequate words to express the blend of terror and peace that this post is flooding me with this morning. I'm in the process of leaving a relatively secure job with benefits and room for advancement to go be a fundraising missionary at a community college, and though I know that's my niche and have been told that it's what I'm good at, it still makes me want to throw up a little every time I think about it. So this reminder that we are to run into our gifts and not from them was brilliantly timed. Thank you. Thank you Jenn and my beautiful friend who sent this to me. You are both amazing and spectacularly gifted women. Oh Ms. Hatmaker, I think you and I could be fast friends! Thank you so much for your posts, books and thoughts. You make me laugh and this one, gave me a nudge. I keep trying to push the message out of my head, but God is telling me to go for it. Thanks for the encouragement and for using YOUR God given gifts! Ugh, you are so amazing. This particular subject has been on my mind so much lately, but it's all been so jumbled that I haven't been able to express it. Thank you for having the clarity of mind and heart to say for me what I couldn't say. This is your gift, and you inspire me! Oh my word! Thank you for this. I have been diminishing my gifts for years. I promise to do better not to. This post spoke to me today. Plus I totally agree - fabricating a fan base my patootie!! Puh-lease - it is just a new way for them to share their gift with the world and we are eating it up. This is so well-written! (grin) I totally agree with you -- it gives me goosebumps to see someone in their element. Like, for real goosebumps when I hear a great musical performance or when the plumber is thoughtfully installing a new shower head or a librarian is reading to my kids at story time. It doesn't happen all the time -- just when I sense that person is really tapping into something special that they were meant to do. Is that weird? What if.. what if%u2026 We all decided to applaud folks for doing their thing? Rather than spend precious time wishing their thing was our thing. You mentioned your appreciation for others doing their thing so well. That we would all do the same!!!! I love this blog so much!!!! I recently took a chance on something big for me & I'm waiting to see the fruit of it. But I'm not giving up or giving in. Plus, there are so many other things I want to do. Thanks for the encouraging word to just jump in & do it! Thanks also for the gentle shove!! I love your blogs!! Thanks, Jen. You are such an encourager and you use your talents like a BOSS! I love reading what you write, and cannot wait for the TV show! AW, I hear that, and I totally relate. And I realize I don't know you and so I'm not the person to convince you of this -- but I am sure you ARE good at something, or many things, regardless of how you feel. Thinking of you. I'm with you. I'm 41 and unsure of what to do with myself. I am good at things...like managing my household and juggling life. I'm watching my kids age and I'm fully aware that I will quickly be out of a job. Not everyone is a outgoing trail blazing wonder woman. Sue - but that is fine and actually great. If everyone was outgoing - no one would ever get a word in edgewise. And I bet you are Wonder Woman when it counts to your kids. Just because you don't feel comfortable talking to strangers about ypur gifts doesn't mean you don't have any or that they aren't equal. Sitting here with tears in my eyes thinking the exact same thing. 38 years old and thinking what if I'm not good at anything? Stop this... all of you! You are good at something, you are good at many things. God created you with purpose, great purpose and He has a plan for your life. You want to know your calling? Well... I'll give it to you. You are called to be Jesus to a hurting world! That's your calling today. Love the unlovable, forgive the unforgivable, care for the hurting. Every day that you are given breath you are called to be Jesus to a hurting world and you are called to do it well! Heb 12 - "let us run with perseverance the race marked out for us". He says RUN and that's a call to action ladies! You can make a difference for the kingdom but you have to start by believing in yourself and the One who created you! Thank you for this! I just got done reading another blog where in the writer tried to boost working mothers but in the end I left feeling like a failure because I actually love my job and apparently that is a "sin for a good Christian woman with children". But guess what!? I am good, really good at my job. The livelihoods of 40 families depend on me. I'm a good mom, but my husband, he's a remarkable dad. He stays home raising our kids and he is so good at it. So much better than me. Although I KNOW God has called me to where I am, it is sometimes easy for doubt to sneak in. To listen to the disapprovals and tsks, tsks that I've faced the last 8 years. Today was one of those days where I let the doubt creep in, then I read this. It spoke to my heart. Thank you for these words of encourgement. Please realize that you are also enabling your husband to use his giftedness in staying home to raise your children. God knew each of your gifts when He drew you together. His plan for each of us is perfect. Please do not allow negative opinions from people who do not fully trust in God's control of our lives to undermine your contentment with your situation. Were it not part of God's plan for your family's life, the Holy Spirit would let you know! Thank you so very much for honoring all our gifted-ness - success is not found in a paycheck - but in how we share ourselves. Jen, you wrote this for me at exactly this morning. Thank you. Paraclete moment. Running again! What great words! Thank you for sharing this today. I NEEDED it! God has given us all the world to play in. Now all we have to do is get up and play... a few skinned knees and fearful moments,but He is GENEROUS. My dear Jennifer!!!! Thank you, I am brought to tears, bawling tears. I have needed to hear this for some time now. I love it even more that it has come from you. I am very thankful for having been able to meet you several times and know you. You really are an inspiration to me and a shining light from Good speaking his word. I love you! Great post, but this?? "I love you, but get going, Precious Snowflake, because most of the time chasing the dream I put in your heart looks surprisingly like hard work. Don%u2019t just stand there, bust a move." I felt the zing! I think I need to print it out and tape it on several walls. Thank you! YES to this: "Do we want our kids to reflect on the mothers who raised them and have absolutely no idea what we loved? What we were good at? What got our pulses racing and minds spinning?" persistent and consistent God message to me, thank you. Thank you. Just thank you. Needed this. Printing out and reading to my two daughters tonight!!!! Thanks for this, Jen. Presently serving on a committee with several bold, opinionated, confident people, and this "background" person feels so insignificant in comparison, yet I know God has given me gifts, and I know I was placed on this group for a reason. So I needed to read this today. And often. and of course, He does sound like Young MC at times. I've been feeling stuck, and this is EXACTLY what I needed to hear as I am about to head out to YET ANOTHER audition and face possible rejection YET AGAIN. So this thought: "Do this thing God Made You to Do and DO it Like A BOSS" is my meditation for the day! Love this! Makes me want to stand up and cheer. Thanks, Jen. Move forward, take the risk, I LOVE the sound of it. I'd tell 1,000 other people to chase their dreams and go for it. When I read this it was water-works. It is SO hard to do something for ME, my growth, my contribution to the Kingdom in this 2-toddler season of life. I do agree I want to be a role model for my kids, but that CANNOT be my primary motivation. My reason, like Eric Little said is this: "When I run I feel God's Glory." What is that thing for me? Thanks for leading me down this road to think, pray, and ultimately glorify God in this season of life. Perfect. Thank you for running your race and letting us all be witness to it so we can grin right along with you! Your words improve lives. Now, back to running my little race. I always knew I was an artist, even when I was little. But art wasn't respectable, and my parents are non-artistic (programmer & nurse.) When I first went to college, it was defiantly - and I got an art degree. I should mention that I worked my own way through college, so I could be as defiant as I wanted living off my own sweat. But even so, I still felt I was being abnormal. Giving into my passion was... weak. After I had two kids, I actually went back to college and got a BS in business. Not because it was my dream, but because this is what normal people do to have normal jobs and just be...normal. I juggled elementary children with school, and after graduation I went and worked in an office with flickering fluorescent lights and felt the life leach from my soul. I RAN for the door. I've been working on my art business ever since, and while it's still peanuts, I can't do anything else. I'm soul-sick in any other occupation. I'm just lucky enough to be able to work in what I do, and survive. Everyone is blessed with a passion, a point to them being here. :) It's the lucky ones that figure out what that is and lets it thrive. Loved this, I also left education due to politics, and have been wondering if there is something I could possibly do that I have not explored. This is the message I've heard God speak to my heart over and over again these last few months. I even had a woman, who doesn't know me at all, tell me (short version), "I think God wants you to know he made you funny on purpose, that He delights in that about you and it's okay." I've had others encourage me to write. It's a dream of mine to do it, so the journey for me is to shake off the voice that says, "Who do you think you are?" and "Shouldn't you have outgrown silly by now?" and "Nobody takes you seriously." We all need to do what we love because He did it on purpose. Do it Ashly. I've heard "Who do you think you are?" all my life, all 67 years. Don't wait. Do it. Your reply shows the talent and the passion. You can. Wanda, your reply made me cry. Gosh, we are so desperate to hear it put like that. Thanks for saying "You can". Great post. 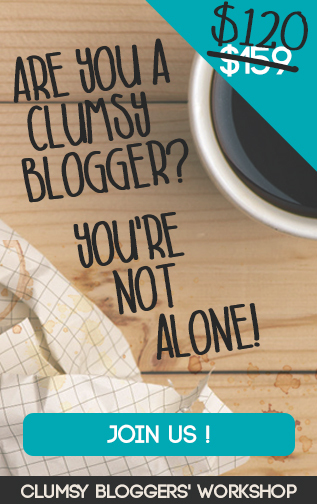 From a newbie blogger, thanks for the encouragement! Wow! I love it! While it makes me cringe a little to read "I was like" and "they were all," and things like it, that's totally okay! It's your writing style, and it's okay for it to be different than mine. I love the message! It's one that I can very much relate to. I have loved writing my whole life, and it wasn't until recently with the pushes and nudges of my fiance that I finally consented to make my blog available for others to read. "Don%u2019t bury that talent, because at the end of the day, the only thing your fear netted you was one buried talent in a shallow grave." I love this, because that's exactly the path I was on for years before now! Thankfully the Lord places people in our lives to encourage us to grow and step out of our comfort zone. Even with other loves like knitting and crocheting. I love those things! I have now started to consider how I might use those to engage with other people, to share, to bless, and more. Hobbies and passions are so much more colorful and exciting when you throw some challenges, goals, and plans into them. I love this message- so great! Keep writing! Totally got me all choked up. Seriously. This is exactly where I find myself%u2026beginning again to live my gifts with whatever space and energy I can find. Beautifully written today. Thank you! Thank you so much for this. It is honestly, one of the best things I have read from you ever. Maybe that's just because it has really rung true for me today. Thank you for putting into words what so many of us need to hear! This little light of miiiiiinnnnneeeee - I'm gonna let it SHINE. Thank you sister, for giving me this pep talk. I so needed it. ps. I am so thankful God sounds like a rapper to someone besides me! Oh. My. Goodness. I sooooo needed to read this today as I sit here typing and editing my next book with one hand while cradling a feverish toddler in my other arm and taking a thousand writing breaks to meet a thousand needs amongst my six children (who are succumbing to the little one's virus one after another in typical domino fashion. *sigh) and field phone calls and pay bills and just do life at its crazy, full-tilt finest. Book deadlines and my life don't seem to play well together. ;) I keep telling myself, "Just keep swimming. Just keep swimming." Maybe I should change that to, "Just keep running. Just keep running," and then I'll feel a little less like I'm drowning, lol. Thanks for the boost today! I feel like God just spoke to my heart through you! The references to wanting to be a teacher and an author......so on point with where I want to be. But I'm in that "waiting for God to open a door" boat! Thank you for lovingly helping me get out of that boat and on to the dance floor! Ready to "bust that move" for God!! May you be greatly blessed for being a vessel for the Lord's work today! When I started reading this, I thought, "Man, I wish I were like Jen. She is so amazing and inspiring. People read her stuff." Then, I kept reading and realized that I can't be you. But, I can be a better version of me. I can get over feeling like I'm not good enough and just be who God created me to be. Run my own race. Thanks!! i'm always being a crier when people are brave and do their things so really relate. The only thing that kept playing in my mind was when one of you at If: gathering kept saying "RUN. YO. RACE." ;). thanks for sharing and for using your god given humor writing skillz for his glory. Love this! Especially, "There is a difference between humility and insecurity, and wrapping ourselves in self-effacement does no one any favors. We teach our watching children to doubt and excuse and diminish." Great reminder to embrace our own talents and be proud of oursleves. Don't believe for ONE SECOND that you should enjoy doing what you do best! Do what you enjoy doing! Some women would win gold medals if catching a bus with a stroller, baby, toddler and three bags of groceries was an Olympic event. It's difficult, it's do-able, and not a lot of fun. If you can't stop doing yucky stuff for others, charge them $300 for doing it. You're worth it, they'll ask someone less expensive, and worst case scenario-- you'll end up with $300. I always get choked up at that "accomplishment" moment for anyone. Your humor IS such a gift, and you reach people with your combination of humor, faith, and non-preachy TELL IT SISTER wisdom. You, too, are so appreciated! Alex Preston! I know, right?!? Btw- the blog was awesome too! Yep! Grinning back at ya Jen! May we all be bold and courageous enough to bust a move! Oh, Jen. Beautiful words. I have been pursuing my dream for almost a year, after shelving it for nine years so the husband could pursue his. I picked mine back up when my twins were 1 and my other children were 3, 4 and 6, and it felt dusty and shaky and terrifying. And there are still some days, many days, when I wonder if I am making the right sacrifices...but thank you for reminding all of us that our contribution matters. Just a few minutes ago, I was working on a story about some new ministries the United Methodist Church is planning for a central Texas area, and I read this quote buried in some notes I'd scratched. "If you're not doing what the Lord is calling you to do, someone is being denied their inheritance." May we all be brave enough to pursue our dreams. This is fabulous. SO needed to read it today. And yesterday. And the day before that. And I'll read it tomorrow. Thanks, Mama Jen. Jen Hatmaker, I would read anything you write. Again and again. Loved this! YES! Thank you for putting this into words. It means so much. First of all, I'm right there with you, weeping on my couch in gratitude when I see people rockin' their purpose and sharing their talent with the world (my poison is The Voice, but any show that allows people to take a shot at their dream gets top billing on our DVR). At my kid's school, seeing the Assistant Principal dance around as a Campbell's soup can during the first grade's Turkey Tunes at Thanksgiving or watching the 4th grade teachers plan a whole afternoon of chick races after the chicks have hatched in their classrooms proves to me that there are super cool people in the world who share their joy, enthusiasm and talent every day, often for the benefit of others. Sometimes I wonder if it's a little weird that I'm so proud of people I don't know well (or at all in many cases), but seeing people claim their glory and run their race gives me such a sense of satisfaction, and I want to shout "I.SEE.YOU." When I see others do it, it provides me with courage to do it too, and I loved everything you said today. Keep running your race, girl!! ...and a sister in Indiana said.....Testify!! so well written, my dear! I needed this today. I have received several motivating lessons in the past week. I am moving forward on to the next season. I am really good with children, and I teach Sunday School and Children's Church to give back to my community. Amen, sister! I am the BEST school secretary ever and the lovely teachers and parents affirm me every day! I am so grateful to God that He allowed me to find my true calling sooner rather than later in life. Love this post so much! No words can explain that "sweet spot" that you feel you are in when you just KNOW with all your heart that you are doing exactly what God created you to do. LOVE this post. And your humor is one of the reasons I love reading your stuff. It makes the whole package so much better :) thanks for sharing! off to run my race! Thank you. Thank you for this. I needed to hear all of it. Your so conversational in your writing, I feel like I just hung up the phone from talking with you. Blessed! Timely read for a heart that feels desperately trapped. Thank you. Printing it out to read and re-read till I both believe and do something about it. Thank you so much for this. I needed to hear it. Been being stirred, and tamping down is a strength of mine. Love all of your posts, but this one I needed. Have I told you lately that I love you? Not in the lesbian sense of course, that would be so akward for our husbands. But in a "Jesus sisterhood" thing. If I'm honest, I sometimes do wonder if I should get a restraining order on you, for your constant "Single White Female" way of stalking my inner thoughts and writing them down in books and this blog. In all my Godly graciousness, I turn the other cheek and I say, "you are welcome". A Starbucks giftcard wouldn't even offend me. Again, a Starbucks giftcard wouldn't offend me in the slightest. oh dear thank you for this...and for some reason this feels like it correlates so well with "Oh the Places You'll Go!" by Dr. Seuss. Random, I know, but well, that's what it feels like. Thank you for the words and the grins. Right back at ya! "The timing is never right. Forget that. It won't just fall into your lap. That%u2019s fake." paraphrase: "The timing is never right. That ain't real! That's dumb. That's straight dumb. You're dumb. (You're nice.)" Please know what that means, Jen Hatmaker. 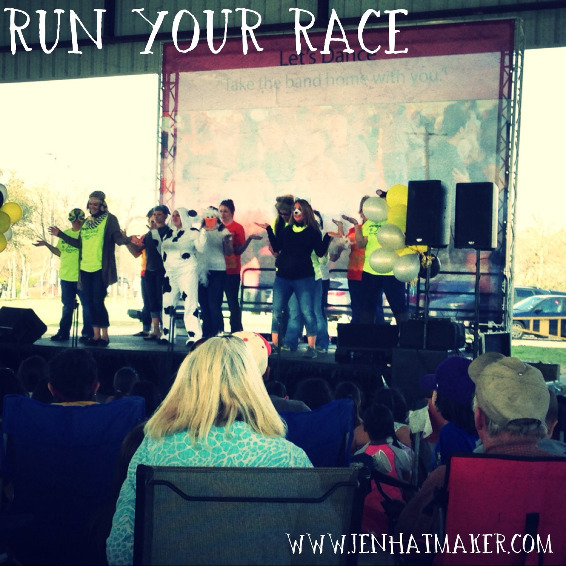 Please don't stop running, Jen Hatmaker. This article would have been enough, all on it's own, to speak to the tough questions I've been asking about my gifts and purpose and direction. And by questions I mean me, in the middle of the night, hassling God to just "write it down for me somehow! Tell me in a dream!! I promise I'm not picky. Anything will do!" But this is how what you wrote completely exploded my brain: Lately, all I've been listening to is Bust a Move. In the car, every day, like it's my anthem. And I haven't been exactly sure why now, why after all these years I'm SO suddenly obsessed with this song....And Then as my heart was all a flutter and lit up by your just-in-time words, just as my brain thought "did she just say 'bust a..."
"God often sounds like Young MC." Of course he does. After all, I did pray: tell me something, somehow, anything will do... And I now I know it's Him I'm hearing in the song: "Now you know what to do...Bust a Move." And I'll sing back "You want it? You got it!!" Thanks so muchly for this. You are a messenger of Awesome Things. So I guess, this whole "nothing is wasted idea is fantastical" but help me pull together: worship leader (who stinks at leading the actual band because i dont play an instrument), great cook and loves to have dinner guests and drink coffee with my girls. :) Loved this post! I also loved this post. It is so timely as God has been nudging/pushing me out of my comfort zone to use some gifts that have been dormant/overshadowed by sleep deprivation while caring for kiddos. I busted my first move a few weeks ago with a note of encouragement to someone I don't know but felt compelled to write. Bless God for His faithfulness and mercy as I got the sweetest note in reply. Trusting Him now to show me what is next. This isn't a career thing for me, but definitely a "good for the soul" thing to be able to walk in the way he has wired me. Jen, Thank you so much for being real. Honest. Funny. God-loving. YOU. You inspire so many of us and this was just what I needed to hear today. Thank you for speaking such Godly truth. I. Am. Going. To. Run. My. Race. NOW. :) Hugs to you! I just love what you say here: "God made us all as an entire package. It all counts. There are no throwaway qualities". What an amazing thing to think about in order to accept ourselves not just in chasing our dreams, but in general. Did you read my journal this morning?? You must have! It's like you read it and then wrote this as the answer to every question I asked myself this morning. Thank you so much. I love this. So much. I feel so cheesy at times, many times, when I get a lump in my throat watching other people do their thing. I'm so glad I'm not the only cheese-meister out there. I was all choked up at the History Faire at our school a few weeks ago...watching the high school kids reenact the signing of the Declaration of Independence. I felt like I was momma to all of them for awhile - swollen with pride - while my ankle-biters were itching to leave. I love to celebrate the best of humanity. Thank you for penning it in such a perfect way. And for allowing me to feel proud of my own thing or two. I cried. And I'm still crying right now. Because for years my husband and I have served the church and sacrificed much only to be told time and time again that they don't want what we have to offer. See, we always think outside the box. Probably because we lived outside their box for so long before we loved Jesus. But unless we are propping up their paradigm, it always end in rejection. We've been out of ministry for three years now. And the cumulative effect of the rejections have left their mark. There just doesn't seem to be a place for us to run our race. If only the Bride of Christ would encourage and deploy Jesus-lovers the way you just did. Because, quite frankly, our collecting pools (which some call churches) are beginning to stink. Thanks for making me feel worthy even though my race doesn't seem to look like that of other leaders. I needed a wisp of hope to grasp on to. If only for tonight, I have it. I rarely, if ever, comment. But I just wanted to say that I SO FREAKIN' LOVE THIS! I have stepped out into the world of self-employment doing what makes my heart sing: DIY and Home Decor blogging. I absolutely adore what I do. And it's building and gaining traction. But then I feel the mom guilt of not spending every waking moment with my daughter. But at the same time I KNOW beyond a shadow of a doubt that I have to do what I do. I was made for this and motherhood, too. So, I'm encouraged that maybe it will teach her how to do what she loves when she's a wife and mommy. Thank you!! What if you desperately want to run, but you don't know which race is yours? I wrote two really good books and self-published them. other people think they're good too, me using my gifts. But when no one with a bigger voice is willing to help, they seem to be futile exercises. So, if I sent you free copies of my book, would you read them? If you like them, you could tell people. It would be like holding out a cup of cold water for me as I'm running my race. Because so far it feels like I'm running, but no one is really rooting me on. Well said. I am a former pharma rep who had two babies in a row and decided to flex my interior design arm after many successful home renovations. While on a renovation job in another state (my client flew me in to help her), my mom asks me "With all do respect, what makes you qualified to do interior design?" I said "Have you even seen my blog? I say I'm qualified, so therefore I am." So buck adversity, even when it comes from your own mother. Check out my career transformation based solely on confidence in the Lord. http://horselvinmom.wordpress.com Jen-Keep up the good fight, sister. Thank you!!! So thankful you share your gifts with us! WOWOWOWOWOW!!!! Thank you so much!!! I just got accepted to grad school. Timing? Terrible. I have two high school juniors. But, My husband, who typically takes 4-6 weeks to make a decision, when asked what he thought of the idea, said, "Do it." My best friend, who has her PhD. in the same field, "Do it." My sort-of-like-older-sister person, laughed with delight and said, "That's great." Like you said, The people who know me best already knew that was my "inner oughtness". And I'm 47 years old, and scared to death, and it is going to be hard. And you just made me feel brave and giggly. Awesomeness! Thank you thank you! To those who don't think they offer any special gifts, listen to Isaiah's description of Jesus: "He had no beauty or majesty to attract us to him...a man of sorrows, and familiar with suffering...Surely he took up our infirmities and carried our sorrows." A man who appeared ordinary was savior to the world. Never underestimate the power and influence that happens in the day-to-day, the ordinary. My grandma lived her entire life in the same county, her mother died when she was 11, she lived on the farm and worked hard her entire life. She was very quiet and had an 8th grade education, but was a voracious reader and to me, the greatest critical thinker I have ever known. Her faith was ironclad, she never wavered in it. Her legacy is a huge Christian influence that has flourished down to now the 5th generation. Never underestimate "ordinary." AND, to those American Idols who are out there risking and rocking it in a louder, more obvious way, rock on! Thank you to the quiet thinkers, the humble blessers and the bold riskers. The world needs every single one of you! Thank you. Maybe my race is building a legacy. thank you so much for your comment. i struggle with being "ordinary" and "just a mom". i often wonder what my special gift could be and sometimes think i don't have one. i can only pray that someday my children or grandchildren will say that i was a great influence on their life and that my faith impacted their lives. hard work, faith and ordinary "mom" things are all i've got at the moment! Tracy, the phrase "I'm just a mom" reminds me of when people say "All we can do now is pray." Like prayer is the last, smallest gesture. Moms (dads too, but only talking about moms here) have the biggest, hardest, most gut-wrenching, fill your heart to overflowing job in the world. I say that hard work, faith and ordinary mom things are extraordinary! Like Faith, you may already be running your race. Some races explode your endorphins, others leave you tired and sore. But a race is a race! Sorry to be so long-winded today. This post really lit a fire under me! Thank you Jenn Hatmaker! We are grateful.you took your life back and are writing again. That is my fave part of the movie Secretariat. The dad says "Penny...each horse has to run his own race." I am an encourager and others-celebrator too. This was beautifully done. This is so encouraging and true! It's even harder to pursue dreams or develop talents as I get older. You're so right about needing to put yourself out there though and not just wait for things to fall into your lap! I just want to say thank you. Reading your blogs always makes me laugh or makes me hope - or both. Some days like today, it feels like it is JUST what I needed. Jen, I got the chance to spend just a little time with you over a weekend, and when people asked me what you were REALLY like, I always say, "You know what?! She is one of the most ENCOURAGING people I have ever met." Everybody you met or saw or talked to for half a second, you encouraged. This post reminded me of that. You see a flame, or a tiny spark, and you fan that bad boy with a vengeance. It was so inspiring. You told them what good you saw and them and how much you appreciated them. The world needs more encouragers. More people to fan flames. Less people with fire extinguishers and cups of water. So thankful for you and the way you are constantly building us all up. That is the work of Jesus, friend. Always grateful for you. Keep running your race. We are soul sisters. I too cry whenever I see someone use their gifts well. I thought I was the only one. Love you Jen Hatmaker. You have a group of girls here in Sumter, S.C. cheering you on. If you need a new set of pom poms for your next "go team " cheer, we will mail 'em. Keep reminding us with your authenticity and humor that when we were "fearfully and wonderfully" made, God wove good things into our DNA and when we stand at the intersection of our dreams and His dreams for us the light will read green...GO! My son is actually in Austin running the race set before him training in track as an Olympic hopeful. Kiss my baby for me if you see him running by! Just keep running (or swimming, or whatever else it is you do)...love this. Thank you for doing what you do. Hey Jen. I adore Am. Idol too...& Alex has been my fave since the beginning. Thanks for making me smile today.....& for urging me to run my race. I'm really not sure why we're not BFF's, but we should be. This was so the kick in the pants that I needed today. You might consider Donald Miler's Storyline conference if you are moved by this post to pursue your passions. It is powerful. LOVED THIS!!!! Thank you for this reminder not to run away from my gifts- but run the race!! "I love you, but get going, Precious Snowflake, because most of the time chasing the dream I put in your heart looks surprisingly like hard work. Don%u2019t just stand there, bust a move." This is my fave! Can we all get shirts made that say Precious Snowflake? Too good! And as a pastor's wife who loves Will Ferrell...and science fiction...and a lot of other weird stuff...I can agree that God has created some truly unique packages! "Strengths, whether yours or someone else's, fascinate you. Like a diver after pearls, you search them out, watching for the telltale signs of a strength. A glimpse of untutored excellence, rapid learning, a skill mastered without recourse to steps -- all these are clues that a strength may be in play. And having found a strength, you feel compelled to nurture it, refine it, and stretch it toward excellence. You polish the pearl until it shines." Amongst other things, this result helped me understand why I love watching reality competition (talent) shows like American Idol, and really anything where people are "in their element"--I'm in awe of their God-given strengths! I am 67.5. 'A Wider Giving' was one of the most inspirational books I ever read. You, Jen, are an awesome inspirational gift to so many, including those of us way beyond 35. Thank you, you lovely human being...the one with the sense of humor that hits that nail dead on, every time. Nice post. Truth be told, if I hear "Let It Go" one more time, I just might let it go all over somebody! Love the blog. I loved this post!!! I'm so glad that Jenny shared it on FB - needed to hear this today. Thank you for sharing your wisdom. Loved this post and am thinking I need to encourage those around me more about the things they are good at. P.S. He always sounds a little more like James Earl Jones to me. Thank you! My sister shared this with me, while affirming my gifts and it is so precious to my heart. I am a full time youth minister along side my husband but recently after having my third son have struggled with feeling like I am failing so often and just not doing any of "it" well enough. So thank you for reminding me that this wonderful ministry that makes my heart jump with excitement still, and sometimes literally too is worth the hard work. Thank you for these words. Those of us who have done just what this post says need a little reassurance that what we are doing is the right thing. Thank you for that. Went back to school about two years ago. At a mother of 4 and seeking God's face for my life, I have recently registered for a conference this summer even though I have about a semester left before I finish my Master's at 47! Who knows where God will have me and what I will be doing, but the proverbial shot in the arm of encouragement from your blog post makes me smile and cry...through a trying final that has taken me countless hours. God Speed to you, Jen. I'll be at your event in Chicago on May 15! ...and thank you! Hope you all have seen Kid President's Pep Talk. "The world needs you to stop being boring!" Jen, in my mind we are hugging. Like it's actually on my bucket list to hug you. Just found your blog! LOVE this. So encouraging. Currently studying to retake the MCAT on April 24th. THANK YOU. a friend of mine sent me this and tears began to fall half-way through me reading. there is much i could say, like so many others have, but there's just too much. what i will say is thank you...not just for hearing from the spirit and typing those words but for seeing and celebrating others well. for seeing that being a good friend is just as much a gift as being a great designer, singer, ceo. i might be forever pierced by your words today and for that i am grateful. I love this!!!!!! This is awesome! I came across your blog recently and wanted to inquire if you would be interested to feature some of our child evangelism tools on your blog. www.LetTheLittleChildrenCome.com provides effective child evangelism tools and resources to help you convey the gospel in a manner that captures and holds the attention of children, while not distracting them from the message of salvation through Jesus. We would be more than glad to provide you with our product samples. Please feel free to visit us at our website (https://www.letthelittlechildrencome.com/) and facebook (https://www.facebook.com/LetTheLittleChildrenCome) at your convenience for more information on who we are and the full list of products that we have. We could perhaps provide some prizes for your readers as well. Thank you for your consideration and I look forward to hearing from you. I can be contacted at [email protected] May the good Lord bless you. I LOVE this!! I read it the day you wrote it, and I CANNOT STOP thinking about it! For real. I think it has changed me. Since I read this, when I see someone I know doing something great, I don't feel quite as insecure about it any more. Instead of feeling "less than" because they are doing something I can't/doing something better than I can, I think, "wow, you run your race, girl!" This is HUGE for me. And, I LOVE Bust a Move, so anyone who can make a Run DMC reference just got a little cooler in my book. Love your writing, Jen!! I just have to say....this is a great post! I work as a missionary in central Africa, my role is helping Short-Term missionaries once they get to the field. While reading this I could not help but think of all the amazing Short-Termers God sends to this region. So, what I did is post this on the FB page I run for all of our Short-Termers. I cannot wait to see what happens when they read it. Asking God to show them what race is in front of them. For some it might be coming back to Africa as full-term missionaries and for others it might be changing their community back "Home." Father show them how each of us has a race set in front of us. Help me and all the amazing Short-Term missionaries around me to run well! 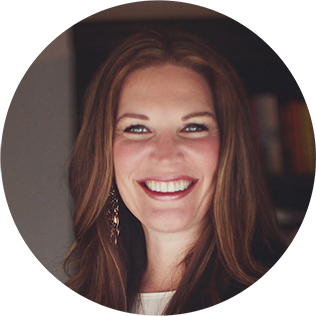 Jen Louise Hatmaker.... (I don't know what your middle name is, so I just gave you one so it would be like your mother is talking to you) if this wasn't just the best blog for me to read TODAY. I am reading Seven right now and I am so inspred by you and I love your sense of humor. Your book moved me to flip a u-turn on a Sunday and go to a mexican restaurant, order food, and take it to a family begging for money next to the Wells Fargo I was about to withdraw money from. THIS IS NOT BECAUSE I AM A GOOD PERSON. I mean I'm not a horrible person or anything, but I am far from an angel, and I took the long way out of the parking lot because I thought 'I can not pass them again without giving them something.' I got halfway home and realized that here I am soaking up all this Seven goodness and just begging God to use me and yet when the opportunity struck I snuck away out the back door. I felt so convicted and when I think about the fact that I almost did nothing, it still brings tears to my eyes. As I got closer to the family and looked into their eyes, I could see they really weren't doing to well. I can't believe I almost drove straight home. Anyhoo, all this to say that you have a gift girlfriend. And this blog is just the cherry on the cake. I can't wait for more. THANK YOU!!!! I have been struggling for 9 MONTHS with what my "lane" is. When my oldest entered kindergarten last August, I entered an identity crisis. Suddenly having energy and time that had escaped me for the five previous years, I wanted to throw myself into something. Worthwhile. Longing to write for years, I had considered blogging about our international adoption turned domestic adoption turned foster care adventure. But insecurity kept me from it. I daily listed reasons in my head why that was a stupid idea. Late one night, the family was asleep and I pulled up your blog to see if there was any new content. I ate your words in this post like chocolate on a hormonal day. I closed your site, then opened my own. And started writing. That. Very. Night. And the craziest thing is happening. People are reading it. You've never heard of me, never seen me, never prayed for me. But you totally encouraged me. And spurred me on to do something akin to water walking. Thank you. I'm not sure whether or not you'll ever read this, but I want to thank you SO much for keeping the humor part of your gift alive and well while writing. I have already pulled up "The Worst End of Year Mother" post to get me through this May. And I suspect it will be an annual NECESSITY for years to come. :) (I've also reread "The Worst End of Summer Mom" to keep it all in perspective!) Thank you for helping me laugh and stave off an impending nervous breakdown! If that's not Jesus Work, I don't know what is! What a great bit of writing Jen! I identify so much with what you say here and feel it resonating within me. That is why I am going to be cheeky and leave my blog address here for you (breannajochud.wordpress.com) I leave it in the off chance that you may actually have time in your crazy life to read a few of my entries. I am thinking of turning my journey into a book of some description and I promised my husband I would ask for your input as well as Shauna Niequist (I admire both of you very much and enjoy our styles of communication). So here's to nothing! If you never read it that is no problem, I will still thank you for the encouragement you have been to me personally. Thank you for this post. I've read it over and over like it's a pep talk. I'll keep reading it too because I need. To. Hear. This. In just the way you said it. Thank you!! What an inspiring article! Thanks for sharing! I recently started a blog about the spiritual race and though I love it, I question its value, but I love your quote about making the world a more beautiful place and knowing that by doing what I love with the gifts God has given me I can make God and people smile. I keep reminding myself of the talents parable as well and comfort myself with the concept that even if it's only a small thing...it's something! I'm gonna run on!